Australia’s mining billionaire Gina Rinehart had to contend with Singapore’s additional 10% buyer stamp duty slapped on foreigners as she prepares to purchase residential assets estimated to be worth $57.2 million in the island-city. Ms Rinehart has been reported to acquire two luxurious getaways in Singapore’s Sentosa’s Seven Palms condominium, a local newspaper Business Times said in a report. The Business Times and the Property Observer report that a company linked to Ms Rinehart’s Hancock Prospecting have reserved two units in Singapore’s only beachfront residence set for completion by the end of this year. The apartment complex is a 4-storey high-end residential project adjacent the Tanjong Beach and the Sentosa Golf Club. SC Global, responsible for the The Marq on Paterson Hill, owns a boutique Singapore high-rise, and 50% of the middle market Australian builder, AVJennings. Ms Rinehart earlier shared her fondness for Singapore’s investment policies and ways to minimise red tape and crimes. 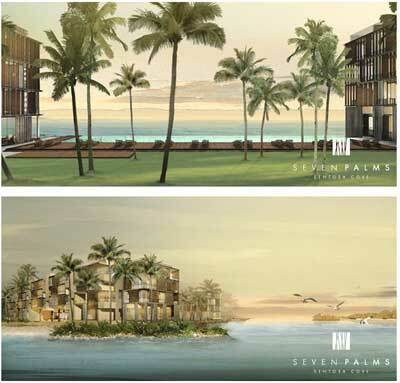 Seven Palms is the project of SC Global, a luxury property developer founded in 1996 by former banker Simon Cheong and his partners. Ms Rinehart follows the footsteps of another Aussie mining mogul Nathan Tinkler, who had settled in Singapore recently.